Whether you are a seasoned pro or an amateur, you should know that the 10×50 binoculars are one of the best and most effective combinations you can ever find. The lens diameter, at 50 mm, guarantees that a large amount of light and immensely enhances the clarity and quality of any picture subsequently. Also, the magnification of 10x guarantees incredible detail over great distances. With the 10×50 binoculars, your odds of seeing small things from far distances are very high. In particular, if you are into hunting or nature observation, 10 x 50 binoculars are the perfect gear for seeing things from a whole different perspective. The only challenging part is actually picking the right model. With so many options available, you might get confused when examining the unique features of every binocular. In this article, we have researched thoroughly, just to present to you the best 10 x 50 binoculars on the market. 10×50 Binoculars are Best Suited For? If we all know that 10×50 binoculars are great binoculars, do we all know what they are best suited for? Read on to find out the areas where 10 x 50 binoculars perform best. General – If you are looking for a great pair of binoculars for general use, you can’t go wrong with a 10 x 50 pair of binoculars. A 10×50 binocular should offer you enough magnification, yet not too much to distort your field of view. If you intend to be using your pair of binoculars for sports use, try getting a 10×50 model with around 300 feet field of view. Bird Watching and Hunting – A model with a magnification of 10x and an objective lens of 50 mm is a perfect fit if you are in search of fitting binocular for hunting or bird watching. Besides, these binoculars are extremely potent if you want to be looking at animals or objects from great distances. Just ensure the field of view of the model you are getting is around 300 to 350 feet. Golfing – If you are looking for a pair of binoculars that is suitable for golfing, a 10 x 50 binocular should be enough for all your needs. Since you will be most likely looking at stationary objects with the binoculars, the lenses and magnification should be sufficient for all your golfing needs. Astronomy – In astronomy, you will most likely be viewing objects from very far distance, in the low light situation at that. A binocular with a magnification of 10x and an objective lens of 50 mm should do the job perfectly if you are into astronomy. Now that you have found out the things that the 10×50 binoculars are best suited for, wouldn’t you like to know our top picks for the best 10×50 binoculars? We bet you would. 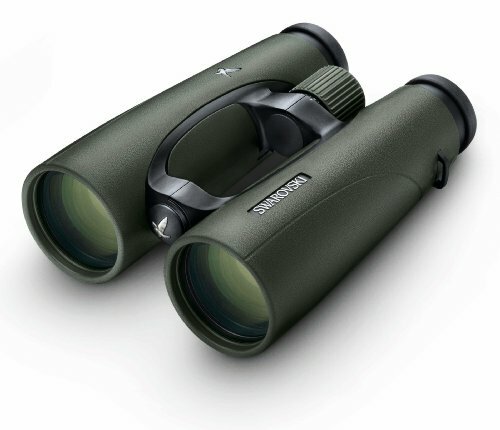 The Swarovski Optic Swarovision 10×50 Binoculars sports a high-end design with weatherproof magnesium housing. Also, it delivers incredible optical performance due to its SwaroTop, SwaroDur, and SwaroBright coatings, and it is also made with ease of use in mind as it is designed to be very easy to hold. Furthermore, the binoculars deliver excellent image clarity, owing to SwaroVision technology. It also provides optimal light and contrast fidelity, and maximum eye relief to allow for a comfortable viewing for eyeglass wearing users. The 10X50 binoculars from Swarovski comes with a very large 50 mm objective lens, which allows the device to gather sufficient light. Joined with the astronomical SwaroVision optics, the device ensures color fidelity and sharp detail definition regardless of the lighting condition and the distance. With a magnification of 10x, you will get to see very bright images from far away distances. The Vortex Viper HD 10×50 Tactical Binocular is also one of the best 10×50 binoculars for general purposes. Offering sharp, high-quality images and wide resolution in an ergonomic housing, nobody would pass the chance of owning this binocs. Besides, it comes with high-density low dispersion glass and proprietary coatings, which allows for an improved light transition. This particular model from Vortex comes with hash marked ranging reticle which helps you coordinate firing. For improved estimation of the size of your target at far distances, the reticle features 4 silhouettes. Also, there are rubberized eye cups that you can fold so as to modify eye relief. 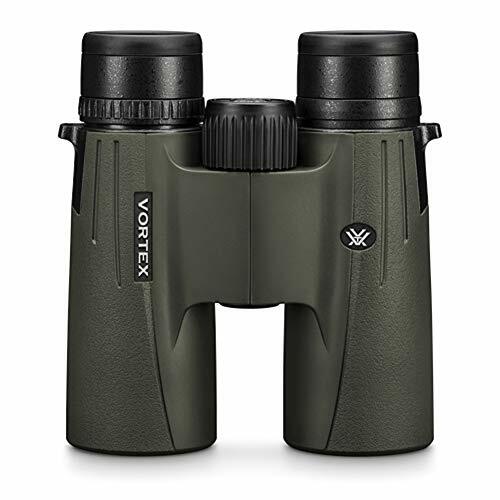 Designed, developed, and produced in the United States, the Vortex Optics Viper HD Roof Prism Binoculars is one of the top rated binoculars on the market. 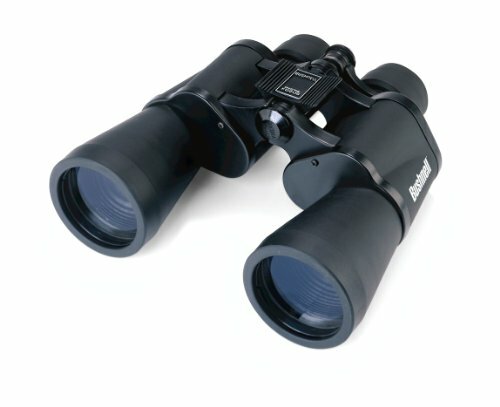 Designed for bird watching, hunting, sporting, and military or law enforcement applications, these binoculars comes packed with unique features. The binocular is designed to be fog and waterproof, making it a very rugged binocular that is ideal for the outdoors. Also, it comes with fully multicoated HD glass, which is coated with XR coatings for bright and sharp images. In addition, the Viper Optics HD Roof Prism Binoculars come with a plush neck strap, secure objective lens cover, a soft cushioned carry case, and the excellent Vortex VIP warranty. The warranty covers the unit if it requires service – regardless of the cause, the binocular will be repaired or replaced at no cost. Provides sharp and bright images. Comes with a soft padded case. Comes with the Vortex VIP warranty. Doesn’t perform well when past 50 yards. The Celestron Granite 20×50 Binoculars deliver exceptional optical performance in an elegant and stylish case. Delivering as much as 10 times magnification regardless of the weather condition, the Celestron Granite 10X50 Binoculars are ideal for hunters, bird watchers, and outdoors enthusiasts in general. Furthermore, this binocular features ED glass, which delivers edge to edge sharpness with razor-sharp images and incredible color correction whilst virtually removing chromatic aberration. 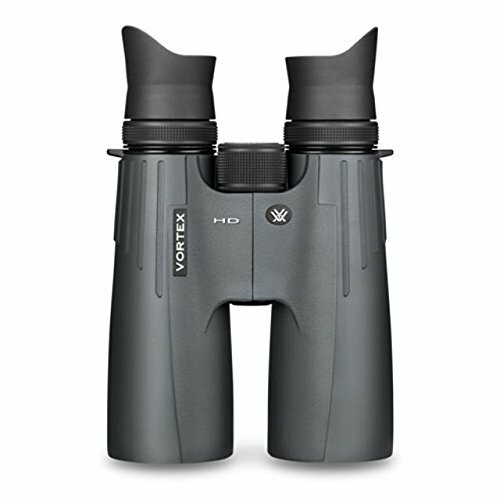 With its fully coated optics, this binocular delivers high contrast, crisp images with precise reproduction of colors for unique image quality that is better than regular optical glass. Are you in search of an ideal viewing device for animals and plants observation in the wild? 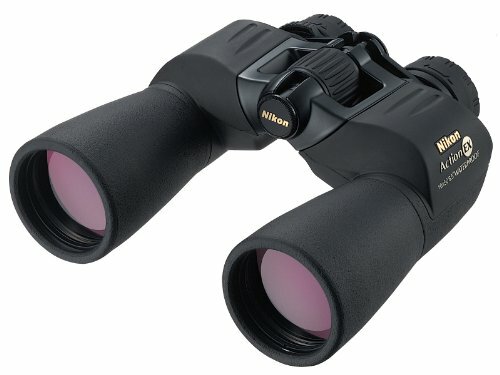 The Nikon Action 10×50 Binoculars might be a great option for you. Because of the great lens diameter, the device’s visual keenness is especially great and offers an optimum viewing result regardless of the lighting condition. Besides, this binocular is one of the best options for stargazing due to its large exit pupil distance. Also, these binoculars have a supreme quality nitrogen filling. Also, it is waterproof, which enables you to utilize it in any weather condition since it cannot be affected by rain. Also, the lenses are multi-coated, which guarantee sharp and high-contrast images. Additionally, it is easy to travel with this model from Nikon as it has a very compact and portable construction. Waterproof and fog proof construction. Comes with a rubber-armoured coating. The Bushnell Falcon 133450c joins the long list of excellent binoculars we have seen from Bushnell over the years. In terms of quality and performance, the Falcon binoculars are very comparable to its predecessors. With a magnification of 10x and an objective lens of 50 mm, this unit delivers excellent optical performance, although it isn’t fog and waterproof. However, it’s 50 mm objective lens makes tracking and finding prey pretty easy while hunting. Besides, it comes with an exit pupil of 5mm, which allows you to effectively utilize the device in low light situations. In general, most hunters and outdoors enthusiast will appreciate this high-quality device. 10×50 binoculars are perfect for hunting, hiking, and sports. These binoculars will help you to add additional attention to what you are doing. Having extensively reviewed 6 of the best 10×50 binoculars on the market, we hope your time will be saved and you will find the one suitable for your needs from our list. Children are very innocent and curious creatures, and due to their keenness to learn, they always have a tendency of imitating whatever daddy and mommy do even if they would do it wrongly. It excites them and they long to learn more. Introducing such sort of children to the exciting scene of nature by using modern binocular technology is really an exciting experience. Therefore, it would be a great idea to buy your kid a binocular. An excellent pair of binoculars could become your kid’s favorite toy if he’s interested in nature, learning and exploring new things in your surrounding environment. If you are too busy to search through unending selections of these products, this guide will come to your rescue. Choosing the right binoculars for kids is never an easy task, and this is why it is important you read our detailed buying guide. Here, we will enlighten you on the different factors you must consider before buying a binocular for your kid, and we will also review some of the best kids’ binoculars on the market so that you can make an informed purchase. What to look for in kids binoculars? 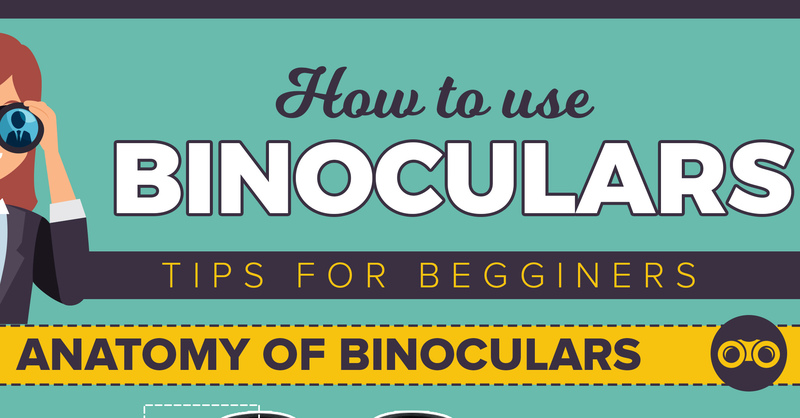 Before buying a binocular for your kid, there are several things you must look for. Your failure to pay attention to these features might end you up with a model your kid won’t find any useful. Magnification – Magnification is probably the most important consideration you must make when buying a binocular for your kid. Binoculars with low magnification are always preferred for kids as those with high magnification have a tendency of having image instability with even the littlest movement. The binoculars that are recommended for kids are those with an 8x or less magnification to get the best overall experience. Size and Weight – Binoculars with larger objective lenses more light and as a result provide an optimal brighter image. However, the price to pay for this is that the binocular become larger and heavier due to the large objective lens. Thus, it is recommended to pick compact binoculars for your kids even though their low-light performance may be poor. Kids will be able to carry compact binoculars easily and keeping it stable wouldn’t be a problem. Recommended Age – Another factor you must take into consideration when shopping for a pair of binoculars for your kid is the age of the kid. It may be difficult for a smaller kid to focus his binocular and a binocular with autofocus or manual focusing function could be a better fit for him. However, an older child may prefer greater control to focussing; helps them to enhance their observation skills for when they are old enough to use more complex models. Weather Proofing – Another important factor necessary to be considered when buying a kid binocular is whether it has weatherproofing properties. Children obviously don’t know how to care for things like adults, thus, parents must consider this when buying anything for them. Apart from its weatherproofing nature, a kid’s binoculars should also be waterproof and scratch resistant. The first process of buying a kid binocular is getting to know the factors necessary to be considered before making the purchase. Now, we will plunge into the review section where the best children binoculars on the market will be reviewed. TheKidwinz Shock Proof Binocular is a reasonably priced children binocular with incredible durability and value for money. Made from plastics and rubber materials with a shockproof exterior which guards the lenses, it easy to see why this model is suitable for children. The binocular also comes with a nylon carry bag and a cleaning cloth useful for cleaning the lenses. The binocular’s interior contains 5 sharp, 18mm lenses on both sides with a magnification of 8x to ensure that your kid sees everything up to 122 meters clearly. Every lens is multi-coated and the binocular comes with an impressive 10mm exit pupil to make things easy for glass wearing kids. This binocular is specially made for kids of 3 years and above. The binocular is durable, provides great comfort, and ensures your kid maximizes the great outdoors experience. If you are looking for a versatile binocular for your kids, the BlueCabi Binocular is an incredible all-round option. This binocular is made of a very durable plastic material which is rubber coated to ensure a firm grip. Also, it protects the body and lenses from dust, water and other dangerous elements. Specifically built for bird watching, this binocular has a durable and compact construction and it comes with adjustable lenses so that it would be easy for your kid to make adjustments on the binocular’s settings to deliver optimum comfort. This binocular comes in two vibrant colors and comes with a nylon bag that you can attach to the belt of your child. If you are in search of a top-quality binocular for a slightly older kid without breaking the bank, the Bushnell Falcon Binocular could be an ideal choice. Featuring a wide range of excellent features, the outer part of this device is made with specially designed rubber pads that enable your kid to hold the binocular easily regardless of the weather. Furthermore, the binoculars come with fully coated optics for quick light transmissions and the device offers a unique ‘Instafocus’ system which will allow your kid to focus on quick-moving objects easily. Featuring a magnification of 7x and an auto-focusing Porro prism, these binoculars are just the right binocular for any kid that likes nature. The Cobiz 10×25 Outdoor Binocular is another great binocular for children. Coming at a reasonable price, with an objective lens of 25 mm and a magnification of 10x, you can’t get a better deal for a kid’s binocular. Featuring an ergonomic design and an impressive range of 380 ft at 1000 yds, it is perfect for the outdoors. It is user-friendly and comfortable to use, and its sleek design makes it holding and using it easy for kids. Furthermore, the viewing device comes with a Porro prism design which ensures that the binocular delivers clear vision, regardless of the ambient light and conditions. This is suitable for camping, bird watching, theatre and games. You can also use them for hiking, fishing, wildlife spotting, etc. besides, the binocular comes with a cleaning cloth and neck strap. It is safe to say that you are tired of purchasing fragile binoculars for your children that get damaged as soon as they fall. All things considered, we have the ideal binocular for your children that will withstand any kind of rough use as it is made to be able to endure falls and drops. The device is no other than the Living Squad kids 8×21 Binoculars. This excellent kiddies binoculars comes with a better design with better rubber eyepieces for better protection and to ensure they don’t get injured while viewing the great outdoors. The eyepieces are foldable and fully adjustable to ensure optimum comfort for your child. Additionally, this kiddies binoculars feature an ergonomic design to ensure that your kid has a firm grip so that the binoculars wouldn’t slip out of his hands in wet conditions. Besides, you will also find hand and neck straps and a belt carry case to avoid falls. Fisher-Price is a leading company when it comes to the manufacturing of kids’ products, especially toys. The Fisher-Price Kid-Tough Binoculars is an incredible children binocular with several features specially made for children. The focus button on the binocular is easy to find and adjust and the ergonomic design ensures that the binoculars don’t slip from your child’s hands in wet conditions. Furthermore, the rubber coated eyepieces on the binoculars ensure optimum comfort and the lenses are protected against drops with guard bumpers. Truly, this binocular is made to ensure a lot of falls and typical children use. A neck strap is also included for added safety. Normally, children are always keen to do things they see their parents do. Therefore, you ought to encourage them instead of discouraging them, especially if they will learn some educational values. If you are an outdoorsman, you can go together with your kids to enjoy the outdoors experience with them. Buy the best kiddies binoculars for them so that they will fully enjoy the views of the great outdoors. Surely, the binoculars reviewed above will be ideal for any little kid who likes bird watching and the great outdoors in general. The binoculars on our list offer excellent features, excellent magnification, and they are affordable, which is somewhat the most important part. Hobbies such as hunting, bird watching, or astronomy seem like something easy to do, but they require enhanced vision. If you are into one of these hobbies, you probably already considered investing some money in a spotting scope. This article will “clear things up” on the important aspects of a spotting scope, allowing you to make a sensible choice. Not only will it tell you what to look for in a high-quality scope, but it will also give you a couple of product suggestions. This way, every “spotting trip” will be a success. “It says spotting scope and it’s cheap. Let’s buy it!” – If you are an amateur with this kind of thinking, this is the perfect recipe for disaster. Only one out of ten spotting scopes is cheap and has all the features that you need – which is why you have to be extra careful how you pick them. When picking out the best spotting scope, you need to ensure that it’s tailored to your needs. And to get to that point, you also need to understand its specifications – as well as how they might help you. Magnification – The magnification of a scope is made for viewing at a greater distance, where the conventional binoculars no longer do you any justice. Most of the time, people do their observation with a 30x-40x spotting scope, which produces more than adequate images. However, to get a high-quality image at a higher magnification, you might want to invest in a set of high-quality lenses as well. Objective Lens Size – The size of the objective lens always matters. The larger the objective lens, the more the light enters in. So, the image is brighter & better in low light conditions. Bear in mind that lenses are usually fairly pricey, so expect to pay a larger amount of money to get a clear quality. Straight or Angled – When it comes to choosing the body type of a spotting scope, you can go two ways around it: either straight or angled. An angled spotting scope is preferred for looking up at the target or at a point across a straight field. A straight spotting scope, on the other hand, is perfect for getting a clear view of what’s below from a high point. Eye Relief – The eye relief is the possible distance between the eyepiece and the viewer’s eye that will not cause any loss of the field of view. This option is mainly for those wearing glasses. For example, if the eye relief is strong enough, even those with thicker glasses can get a clear image through the spotting scope. Close Focus – The close focus is the nearest point from the field of view that your spotting scope can see. Most spotting scopes don’t offer a close focus option if the object is less than 20 feet away, so be sure to make some calculations. This feature is great for birdwatching or viewing objects that require close detailing (such as looking at their feathers). Focus Mechanism – You can basically go for three focus mechanism designs: single knobs, double knobs, and helical. Single knobs are the simplest: slow, but showing a precise image. The double knob offers both quick coarse focus and precision focus while the helical works better with quickly changing objects. Field of View – The field-of-view is the side to side measurement of the field that you are viewing. If you are planning to scan for wildlife or want to view some quick-moving action, then you might want to go for a larger F.O.V. On the other hand, if your target is static, then a narrower field of view is more appropriate. Keep in mind that the wider the field-of-view, the lower the magnification. Weather Proofing – This is not exactly a necessity, but it will protect or improve the performance of your spotting scope in case of bad weather. This feature involves extra seals that will keep the moisture out – therefore increasing the longevity of your scope. It’s particularly useful if you tend to use the spotting scope in the rain or fog. When you are buying a spotting scope, you get it for a particular reason. These may vary – but each of these activities will request a specific kind of spotting scope. Hunting – When you go hunting, the chances are that you might not want to go right next to the prey you want to hunt. Things could go bad both ways: you could either scare them away, or they could come attack you. Binoculars can be a good option for hunting – but there’s only so much that you can see with them. If your target is at a greater distance, it would be much easier to get a clear image with a scope. For this, you will need a scope with both wide and narrow fields of view, to get a close capture of your target. Plus, it’s much easier to attach a spotting scope to a weapon – giving you a much closer view as you are aiming. Birdwatching – Once more, a binocular can get you really close – but the thing about birds is that they love going really high. Sadly, no matter how good a binocular might be, you will not be able to see much of them so high above – which is why a much more focused binocular is such a great investment. Many spotting scopes can go as high as 60x (or even higher), which makes them perfect if you want to see fine details such as feathers. This feature, on the other hand, cannot be achieved with a simple pair of binoculars. Astronomy – When it comes to spotting scopes, you may go two ways: terrestrial or celestial. If you are planning to use the scope to view the stars, the moon, or anything else in the sky, then you will need something with a very high magnification power. While spotting scopes may not offer such a clear image as a celestial scope, it will still allow you to get a good view of the celestial palace – much better than any pair of binoculars would. They are a much better choice if you do not have the necessary money to invest in a full-sized telescope. At this point, you may know what to look for in a spotting scope; however, some extra tips and ideas should always be welcome. Each brand comes with its own perks and drawbacks, but here are some models that seem to have been successful among hunters, birdwatchers, and astronomers. Let’s review them! Those looking for a versatile spotting scope might find great use in the Celestron device. Featuring multi-coated optics, the Ultima 100 will offer you clear, enhanced results in all types of lighting conditions. It features an objective lens with a diameter of 100mm/4”, so this scope is a great option if you are a fan of birding and target shooting. You may adjust it for both straight and angled viewing, and the wheel allows you to get a clear image in a relatively quick manner. Having a magnification of 20-60x along with the 80mm objective lens, this spotting scope offers a pretty clear image of the objects found at a great distance. The lens has been multicoated for extra brightness and resolution, which means that you may use it even in low-light condition. This spotting scope has a field of view of 113 feet at 1,000 yards with the 20x setting and 55 feet at 1,000 yards when viewing through the 60x setting. Plus, it provides eye relief of 19 mm to 18 mm, making it perfect if you wear glasses. This spotting scope with a fully-coated 80 mm objective lens was made for those who want a clearer, better view of your target. With the ability to adjust it between 20x and 80x magnification, you can use it for both wide and narrow fields of view. It is perfect for birdwatching, hunting, and watching the scenery. If you are looking for an angled scope, then you might want to give the Kowa a try. With its pure fluorite and 88 mm green film lens, this tool will offer a clear image of items found even at great distances. Plus, since it’s made from polycarbonate materials and weighs only 53 ounces, this lightweight device is very easy to carry around. Choosing the best spotting scope for your trip may not be something very easy to do for some, especially since you have so many features to keep in mind. You need to carefully consider the reason for your purchase, as well as the features it brings. For instance, while either of the Celestron scopes might work great with astronomy purposes, the Gosky one might not. The greater the magnification, the more useful it will be at greater distances. Hopefully, this article offered you some insight as to how you should pick your lens – as well as where to find a good set. Happy spotting, and may the targets be forever in your favor! There are important features you must look for before spending your money on a pair of binoculars, and below are those important factors. Porro Vs Roof Prism – As it is known by all the people charmed by binoculars, these instruments, technically, are usually categorized into two: models that were designed with roof prism and models that use a Porro prism. Binoculars made with the roof prism design are usually lightweight, more portable and more compact than those made with Porro prism design. Besides, these models reflect light as much as 5 times, which explains why they deliver clearer images. However, their primary drawback is their high cost. The Porro prism units, on the other hand, are usually a little wider, so they reflect the light four times. Magnification – The magnification power is another important consideration when buying a pair of binoculars. How far or close the images will seem is determined by the magnification power on the binoculars. Images on binoculars with a magnification of 10x will appear ten times nearer to you than they actually are. Your binoculars should deliver crisp and clear images regardless of the magnification level as this will allow you to see your targets easily. Eye Relief – Eye relief will allow you to view without straining your eyes, so it’s a very important consideration to make when shopping for the right pair of binoculars. Eye relief means how far the eyepieces are to each other, and it is very vital to glass wearers. We recommend you to go for a unit with long eye relief as they provide more comfort than short eye relief binoculars. Close Focus – Wildlife observers find close focus extremely important. Ensure you choose a unit that is capable of focusing down in between 3m or less. But if you are someone that likes watching dragonflies, butterflies, plants or flowers, you should opt for binoculars with 8x magnifications. Field of View – The field of view is another important feature you must check before picking a pair of binoculars. The field of view is the total breath of the area that you will be able to see when standing around 1000 yds away. Weather Proofing – Due to the advancement in technology, binoculars nowadays are more durable and stylish than the early binoculars. When it comes to weatherproofing, some binoculars come with lenses that are coated to be fog proof and waterproof casings. A pair of binoculars can make or break your outdoor trip. While not all binoculars come with waterproof properties, it is recommended to buy a pair of binoculars that is waterproof. Weight & Size – If you are hunting or hiking in rough territories, a lightweight binocular that is portable and compact will be more suitable for you. Besides, a lightweight binocular will allow you to carry other gear comfortably. So, it is great to buy a pair of binoculars that won’t tire you out. Binoculars are used for a variety of purposes, and we will be discussing the various usages of binoculars and what types suits for each activities in this section. 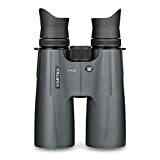 General – If you are in search of the right pair of binoculars for marine use or general sports use, you should go for a pair of 7 x 25 lenses at least. This will provide you with adequate magnification, but not extremely much to affect your field of view. If you want to be using your binoculars for marine use or sports use, you should get models with a field of view between 300 to 350 feet. Bird Watching and Hunting – If you are looking to buy a pair of binoculars for bird watching or hunting, you should go for a model with 8x magnification and 30 mm objective lens. Also, the field of view of a binocular you want to use for bird watching and hunting should be 350 feet at least. However, if you will be looking at animals from far away, you should look at more powerful models. Golfing – If you want to be using your binoculars for golfing, a pair of binoculars with 6x magnification and 17 mm objective lens should be enough. In golf, the objects you will be looking at are stationary and are not too far away, thus you don’t need extremely powerful lenses. Astronomy – In astronomy, the situations are entirely different due to the fact that you will be viewing static objects from an extremely far distance. To complicate matters further, there will be low light available in the environment. For astronomy, you should go for a pair of binoculars with atleast 10x magnification and 40 mm objective lens. It is never a good idea to buy a pair of binoculars without carrying out prior investigations and equipping yourself with the necessary knowledge. Since we have equipped you with the knowledge required to buy a quality pair of binoculars, we will now delve into the reviews. If you are a hunter, birdwatcher, or someone who usually watches sports and concerts from far away, you need a pair of binoculars, and the Gosky 10 x 42 Binoculars for Adults will be perfect for you. This binocular comes with top performing optics, sturdy framework, rubber armor, and a roof prism design. Furthermore, this excellent binocular comes with a feature that makes it compatible with a phone mount. This enables the user to take pictures or videos of what they view through this viewing device. This phone mount is carefully designed, and its lightweight and compact construction make it easy to carry. Bushnell is a leader when it comes to the manufacturing of optics, and with the Bushnell Falcon 7 x 35 Binoculars, their reputation for always making optics will surely improve further. This device provides premium performance at a very affordable price. Additionally, the binoculars come with Porro prism design and fully coated optics. This ensures that the binoculars deliver crisp, clear, and detailed images regardless of the condition. Besides, the device comes with a large field of view, which enables you to quickly scan the area, and the InstaFocus enables you to focus rapidly on targets in motion. The binoculars are very durable, with strong rubber armor that guards the optics against drops and falls. The ergonomics are also impressive and you will get a very firm grip so that the device won’t slip from your hands in wet conditions. Another great product on our list is the SkyMaster 15 x 70 Binoculars, which is from the stable of Celestron, a giant optics manufacturer. This device performs excellently for Astronomy while also good for hunting, birdwatching, wildlife watching, and sports. Featuring a magnification of 15x and a 70 mm objective lens, these binoculars provide clear and bright images regardless of the weather condition. However, this viewing device weighs over 3 lbs, which makes it somewhat heavy and a bit difficult to carry over a long period of time. But the device comes with a solution as well in the form of a tripod compatibility. This allows you to view more steadily and smoothly without tiring out. Another excellent product from the Bushnell Falcon series is the Bushnell Falcon 133450c Binoculars. This device follows the footstep of its predecessors from the Falcon line up in terms of quality and performance, albeit a few differences though. It has excellent magnification and optical performance but doesn’t come with waterproof and fog proof properties. However, it features an objective lens of 50mm which makes it easy to track and find preys while hunting, it also features a 5mm exit pupil which enables you to use the binoculars effectively in low-light situations even. This is a really great feature that users will appreciate. However, this binocular is quite on the heavy side, but it comes with an auto-focus lever which allows you to use it without being affected by the weighty nature of the binoculars. If you are an avid outdoorsman, it is needless to tell you that you will need a durable pair of binoculars that can withstand rough use, isn’t it? Well, we found a binocular that perfectly matches those specs for you and it is called the AUCEE 10 x 42 Binoculars for Adult. With its incredible durability, high affordability, and waterproof and fogproof nature, it is very easy to see why this model is gaining popularity among hunters and outdoorsmen. This binocular will perform excellently regardless of the weather condition. Lastly, this product comes with a lifetime warranty, which further speaks a lot about its incredible durability as no manufacturer would be crazy enough to put a lifetime warranty on a product that isn’t built to last for a long time. If you are a birdwatcher and you are looking for a pair of binoculars that is particularly made for your favorite hubby, don’t look further than the Wingspan Optics 8 x 32 Binoculars. This device provides detailed, clear and bright images at all times, which also makes it suitable for sports and concerts. 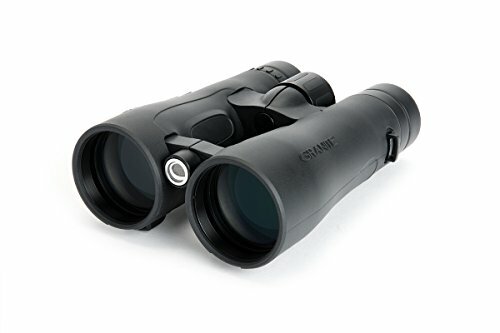 Furthermore, this pair of binoculars provides detailed images at 1,000 yards and it comes with a very wide field of view. With the wide field of view, users can easily find and track their targets. This binocular might be an ideal choice for anyone who intends to often go outside in varying conditions. The excellent ergonomics and firm grip enable the user to use the binoculars for a long period of time. This is definitely perfect for bird watchers and sports lovers. After everything we have discussed, you can see that there are several binoculars that perform greatly at affordable prices. The best binoculars under 100 dollars are made for people that aren’t willing to spend several hundreds of dollars on a hunting gear but are looking for decent alternatives. Choosing the right pair of binoculars for your needs can go a long distance in making you more productive. It is even possible that you can buy a pair that will last you for several years even with your limited budget. We hope with the information we have provided, you will be able to choose the right pair of binoculars within your budget.